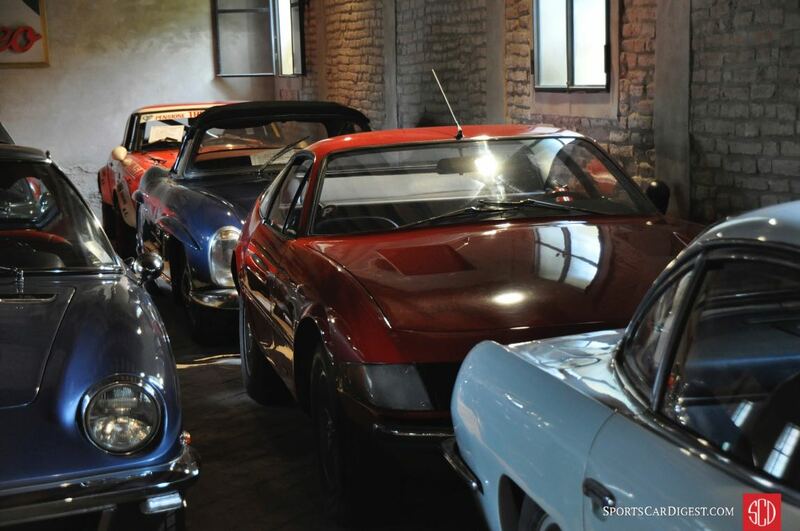 In 2009 Sports Car Digest toured the Mario Righini Collection, one of the more exceptional private car collections in Italy, if not the world. Located outside Modena in Castello di Panzano Castelfranco Emilia, the Righini Collection is remarkable for many reasons. 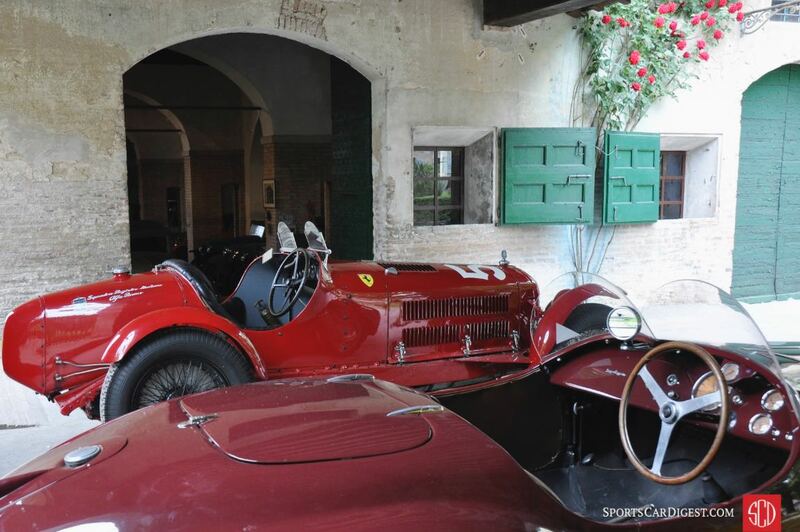 To call the Righini Collection unique does not do it justice, as the setting alone — a 15th century castle set among Lambrusco vineyards — is incomparable as are the cars and the circumstances surrounding their addition to the Righini family. As the story goes, Righini’s family owned a scrap yard that, in cooperation with the Italian government during World War II, was used to tear down “obsolete” vehicles for their raw materials. Fortunately, Righini’s family had to foresight to recognize that not all cars are created equal and they kept the significant vehicles that passed through their scrap yard. After the war, Mario Righini took over the successful family business and began adding to the collection, ultimately ending up with more than 350 cars, motorcycles, trucks, tractors and other automobilia that we see today. As imagined, the collection favors Italian forms of transportation, but goes well beyond the borders of Italy. Within the grounds of the castle, the Righini Collection is housed principally in two former horse stables and grouped by pre and post-war. While the pictures do their best to tell the story, it is still difficult to convey the amazement over seeing dozens of incredible cars parked bumper-to-bumper. Please do not think that means the collection is not well attended or appreciated because most are in strong working order and have been wonderfully preserved or restored. 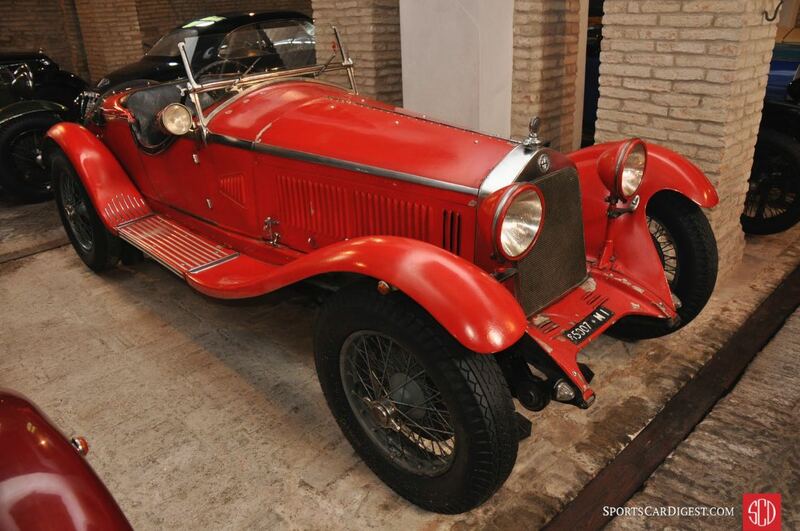 The quality of the Mario Righini Collection is staggering, including the Alfa Romeo 8C 2300 that was owned and raced by Tazio Nuvolari to victory at the 1933 Targa Florio and Monza Grand Prix. 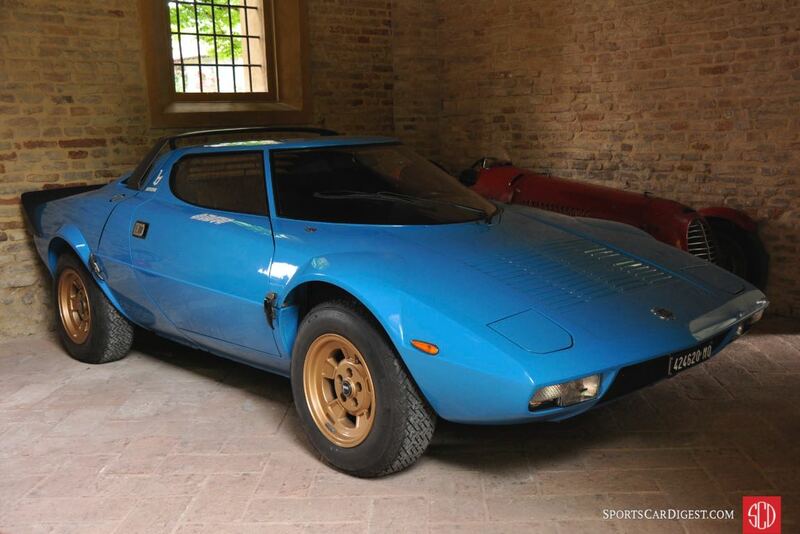 Another headline is the Auto Avio Costruzioni (AAC) Type 815, the first car Enzo Ferrari built after leaving Alfa Romeo. 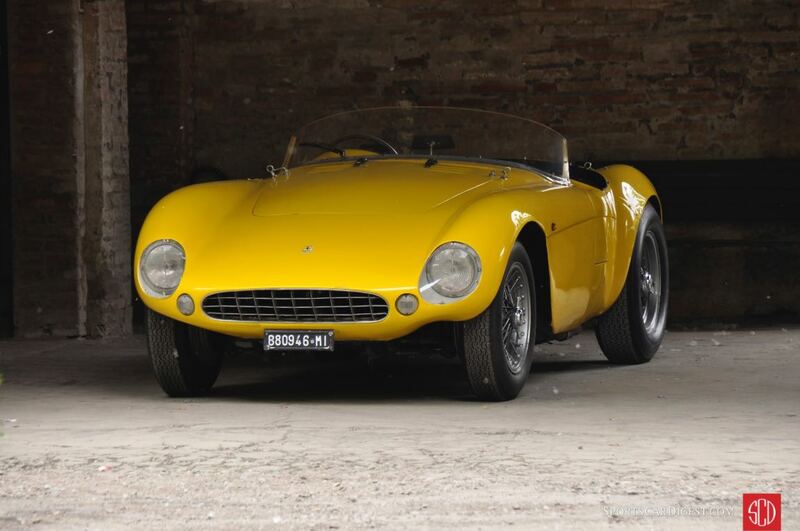 Ferrari built two AAC and this particular car was raced in the 1940 Mille Miglia by racing legend Alberto Ascari. The Righini’s example is the only surviving AAC. 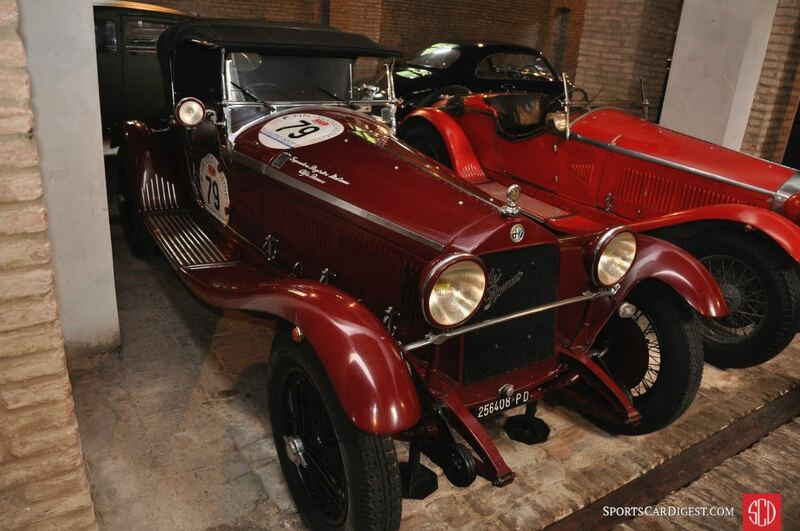 In addition to the highlighted cars, the pre-war stable includes ex-military Alfa Romeo 6C 2500 Colonial Torpedo Militare; Alfa Romeo RL SS Corto Torpedo; Salmson racing car; 1894 Velo Benz (first in the series); plus several Bugattis, Fiats, Lancias and other Alfas. The post-war collection includes a row of Alfa Romeos, starting with a modern SZ, followed by a Giulia TZ, Giuletta SZ and 1900C SS Coupe Speciale. The same room also featured a De Tomaso Pantera; Maserati Mistral; Ferrari 275 GTB and 365 GTB/4 Daytona; ASA 1000 GT Spider; Mercedes-Benz 300 SL Roadster; Lamborghini 350GT and Stanguellini Formula Junior Race Car. Oh yeah, we almost forgot the ex-Gilles Villeneuve Ferrari 312 T4. As amazing as the collection was to experience, we are a little worried about what comes next. Similar to the feeling after climbing Mount Everest (or so we hear), how on earth can you top the Mario Righini Collection? We split up pictures from the Mario Righini Collection into two galleries. The first gallery starting below features our favorite images, all displayed in the full-width view of Sports Car Digest, while the second gallery can by found on the last page of the gallery and gives a comprehensive view of all photographs. Mario Righini Collection is amazing , umbeliveable ,was a great pleasure to see it in SCD . Could you inform to me if it is open for public visit? What a magnificent collection of architectural steel, iron and aluminum. A visit to this facility is a must if possible on my next visit to Europe. Mario Righini’s foresight was a godsend. Certainly a privilege go see it. awesome for an Alfa enthusiast like myself. would love to visit this collection and is it available to public? I could spend a day just looking and enjoying them. El paraiso de los amantes del automovilismo! Superb collection of Mario Righini, absolutely unique, I think that’s a secret place to the pilgrims of the globe !